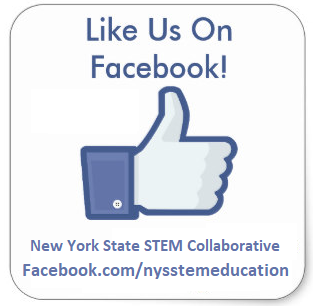 Keynote Speakers – NYS STEM Education Collaborative, Inc. Lieutenant Governor Hochul chairs 10 Regional Economic Development Councils that have transformed the state’s economy by building upon regional strengths through long-term strategic plans. The Councils include leaders from academia, business, labor and not-for-profits and, to date, have invested $4 billion into more than 4,100 projects across the State. The Lieutenant Governor also chairs the State Workforce Investment Board which addresses the number one concern of businesses: the lack of skilled workers. 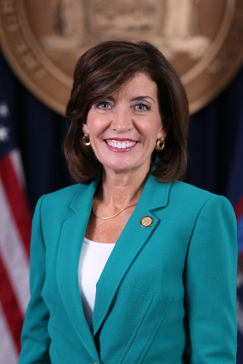 Governor Cuomo appointed Lieutenant Governor Hochul to chair the Task Force on Heroin and Opioid Abuse and Addiction. In this capacity, she convened eight outreach sessions across New York State to hear from experts and community members in search of answers to the heroin crisis and works to develop a comprehensive strategy for New York. Hochul spearheaded Governor Cuomo’s Enough is Enough campaign to combat sexual assault on college campuses beginning in 2015 hosting and attending more than 25 events. As the highest ranking female elected official in New York State, she continues to be a champion for women and families across the state. In March 2016, Governor Cuomo named her to the New York State Women’s Suffrage 100th Anniversary Commemoration Commission. Representing Governor Cuomo across the state, Hochul tours main streets, meets local business owners, visits college campuses and meets regularly with mayors, supervisors and other community leaders. The Lieutenant Governor builds support for the Governor’s initiatives including the minimum wage increase, paid family leave, ethics reform and infrastructure investment. To prepare today’s students for our increasingly technological/information-based society and workplace in general, and for STEM-related occupations in particular, will require a series of fundamental changes in our education system. Rules, regulations, teaching practices, and traditions that exist in today’s American education system were created during the Second Industrial Revolution. As we attempt to meet the needs of today’s students, who have lived their entire lives in the technological/information-based Third Industrial Revolution, this system is being challenged. It’s about to be challenged even more as we enter the Fourth Industrial Revolution—a fusion of technologies that most can’t yet fathom. To be prepared for this changing world, today’s students need a future-focused education program that prepares them with a higher and different set of skills and knowledge than what is currently being taught. It can be done, but how? In this presentation, Dr. Daggett will explain how these 20th century practices came about and describe why and how transformation is needed. He will share various strategies from the nation’s most rapidly improving schools that have successfully addressed these challenges, such as zero-based budgeting, various staffing patterns, and innovative instructional practices, to prepare all students for the world in which they will live and work. 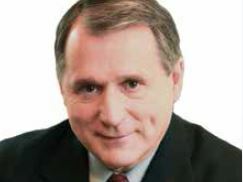 Founder and Chairman of the International Center for Leadership in Education, Dr. Daggett is recognized worldwide for his proven ability to move preK–12 education systems toward more rigorous and relevant skills and knowledge for all students. For 25 years, he has crisscrossed our nation, as well as the industrialized world, to lead school reform efforts to effectively prepare students for their future. 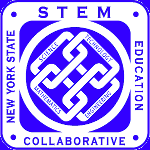 Before founding and now serving as Chairman of the International Center for eadership in Education, Dr. Daggett was a teacher, local administrator, and a director with the New York State Education Department. He is the creator of the Rigor/Relevance Framework®, which has recently become the cornerstone of much of the nation’s school reform efforts. He is also the author of numerous books about learning and education, textbooks, research reports, and journal articles. Deb Newberry is the Director/Instructor of the Nanoscience Technician program at Dakota County Technical College in Rosemount MN. She created the 72 credit nanoscience technician program in 2003 and began the program with National science Foundation funding. Deb also serves as the Director and Principle Investigator of the Center for Nanotechnology Education, better known as Nano-Link, which has been funded by over $9M from the National Science Foundation. Nano-Link educational content has been used by over 600 educators and has reached over 70,000 students. Deb has served on the NanoProfessor Nanoscience Education Advisory Board, the Rushford Nanotechnology Organization Board and the 18-member Advisory Commission for the Minnesota Science & Technology Authority. Ms. Newberry is the Education Committee Chair for the Sustainable Nanotechnology Organization. She is a member of professional organizations such as the IEEE, ACS, MRS and ASEE and serves on multiple conference planning committees. Deb has a master’s degree in nuclear physics with minors in math, chemical and mechanical engineering. In 1990, she began work with NASA and the Department of Defense in the field of nanotechnology, studying radiation effects on nano based composite materials for satellite applications. Soon after she chaired a national committee evaluating the impact of nanotechnology on satellite systems. She developed methodologies for the analysis and testing of radiation on satellite systems, working on more than 14 spacecraft in orbit. After 24 years of experience as a researcher and executive in the corporate world, she became a nanotechnology consultant and celebrated writer, coauthoring, The Next Big Thing is Really Small, a bestselling book on nanotechnology. 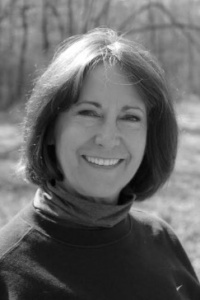 Deb has spoken to multiple organizations, including the U.S. Senate and is the author of multiple book chapters.